According to the most widely accepted theory, oil is composed of compressed hydrocarbons and was formed millions of years ago in a process that began when aquatic plant and animal remains were covered by layers of sediment. Over millions of years of extreme pressure and high temperatures, these particles became the mix of liquid hydrocarbons that today is called oil. Different mixes of plant and animal remains, coupled with pressure, heat, and time, have caused hydrocarbons to appear today in a variety of forms, which are crude oil, natural gas, and coal. Oil is found in reservoirs in sedimentary rock and these tiny pores in the rock allowed the petroleum to seep in. These reservoir rocks hold the oil like a sponge, confined by other, non-porous layers that form a trap. The world consists of many regions with different geological features formed as the Earth's crust shifted and some of these regions have more and larger petroleum traps. In some reservoir rock, the oil is more concentrated in pools making it easier to extract, while in other reservoirs it is diffused throughout the rock. The Middle East is a region that exhibits both favorable characteristics, resulting in large and numerous petroleum traps and the reservoir rock holds the oil in substantial pools. This region's dominance in world oil supply is the clear result. Other regions also have large oil deposits, however, the oil is more difficult to identify and more expensive to produce. The United States is an example of such a region. To identify a prospective site for oil production, companies use a variety of techniques, including core sampling -- physically removing and testing a cross section of the rock -- and seismic testing, where the return vibrations from a man-made shockwave are measured and calibrated. Advances in technology have made huge improvements in seismic testing. After these exploratory tests, companies must then drill to confirm the presence of oil or gas. A dry hole is an unsuccessful well, one where the drilling did not find oil or gas, or not enough to be economically worth producing. A successful well may contain either oil or gas, and often both because the gas is dissolved in the oil. When gas is present in oil, it is extracted from the liquid at the surface in a process separate from oil production. Historically, drilling a wildcat well (searching for oil in a field where it had not yet been discovered) had a low chance of success. In fact, relatively few wildcat wells found oil or gas and the rest were dry holes. Better information, especially from seismic technology, has improved the success rate of drilling wildcat wells. After a successful well identifies the presence of oil and/or gas, additional wells are drilled to test the production conditions and determine the boundaries of the reservoir. Finally, production or development wells are put in place, along with tanks, pipelines and gas processing plants. so the oil can be produced and then moved to markets and sold. Finally, once extracted the crude oil is refined into usable products. 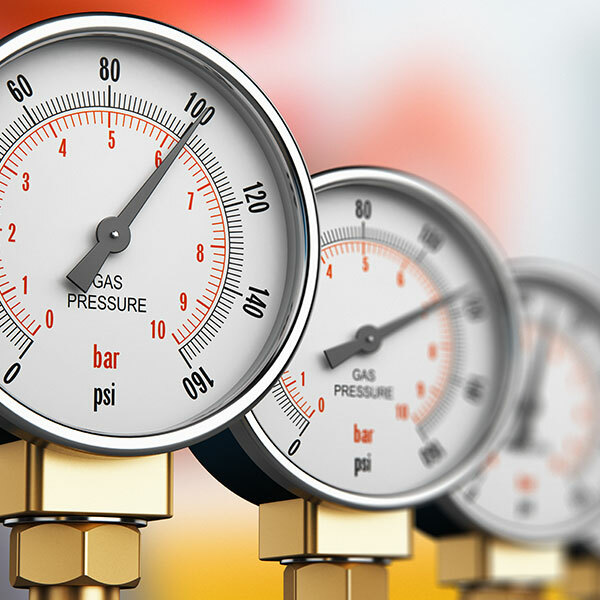 The naturally occurring pressure in the underground reservoir is an important determinant of whether the reservoir is economically viable or not. The pressure varies with the characteristics of the trap, the reservoir rock and the production history. Most oil, initially, is produced by natural lift production methods: the pressure underground is high enough to force the oil to the surface. Reservoirs in the Middle East tend to be long-lived on natural lift, meaning the reservoir pressure continues over time to be great enough to force the oil out. The underground pressure in older reservoirs, however, eventually dissipates and oil no longer flows to the surface naturally. It must be pumped out by means of an artificial lift using a pump powered by gas or electricity. The majority of the oil reservoirs in the United States are produced using some kind of artificial lift. Over time, these primary production methods become ineffective and continued production requires the use of additional secondary production methods. One common method uses water to displace oil, using a method called waterflood, which forces the oil to the drilled shaft or wellbore. Finally, producers may need to turn to tertiary or enhanced oil recovery methods. These techniques are often centered on increasing the oil's flow characteristics through the use of steam, carbon dioxide and other gases or chemicals. In the United States, primary production methods account for less than 40 percent of the oil produced on a daily basis, secondary methods account for about half, and tertiary recovery the remaining 10 percent. Both the varying reservoir characteristics and the physical characteristics of the crude oil are important components of the cost of producing oil. These costs can range from as little as $2 per barrel in the Middle East to more than $15 per barrel in some fields in the United States, including capital recovery. Technology's contribution to finding oil is huge. Technology cannot change geology; however, by revolutionizing the information available about the features of a geologic structure, it has enhanced the likelihood of finding oil. A primary benefit is the ability to eliminate poor prospects, thus potentially reducing wasted expenditures on dry holes. In addition, drilling and production technologies have made it possible to exploit reservoirs that would formerly have been too costly to put into production and to increase the recovery from existing reservoirs. Technology also has contributed to making oil exploration and production safer for the industry and for the environment. Offshore production can be operated from onshore using automatic shutoff systems to reduce pollution risk. 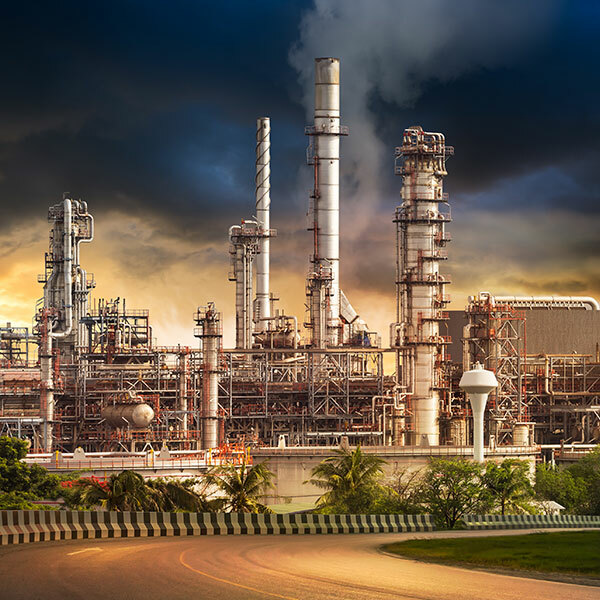 Infrared photography can pinpoint a trajectory of spilled oil, allowing equipment and personnel to be deployed quickly and effectively, thus minimizing damage. In addition, technology has been responsible for the rejuvenation of offshore exploration that has taken place beyond the Outer Continental Shelf. The Middle East remains the largest oil-producing region. Middle East dominance in oil reserves -- the estimated amount of oil that can be produced from known reservoirs - is even more pronounced: the region holds about two-thirds of the one trillion barrels of global proved oil reserves, so the region's critical role in world oil supply will continue and will grow. (The United States, by contrast, holds only four percent of global proved reserves.) Several core developments have shaped the pattern of regional oil production. The higher oil prices of the 1970s and early 1980s afforded a strong economic incentive to explore for and produce oil, and production rose in many areas. At the same time, oil demand declined -- the expected response to the high prices. Saudi Arabia became the "swing supplier," reducing its production as necessary to balance supply and demand. Its rejection of that role in mid­-1985 -- its output had fallen to about 25 percent of its 1980 peak -- brought the full force of the supply/demand imbalance onto markets and resulted in the price collapse of 1986. Prices did not return to the 1986 level until the Persian Gulf conflict of 1990-91, and then only briefly. When in 1998 Asian demand faltered with the region's economies, and northern hemisphere demand faltered with the warm winter, the high production levels resulted in another price collapse. The market reaction in 1998, however, was not the same as in 1986 -- demand did not recover as quickly and supply did not fall as quickly. Hence, the low price period lasted longer and showed lower prices in 1998 than in 1986. In early 2000, oil prices exceeded the levels of the Persian Gulf conflict in nominal terms. Sharp as the price increases were in early 2000, however, crude oil prices remained less than half of the early 1980s peak in terms of real buying power. Saudi Arabia, the market balancer in the early 1980s, was the worlds largest producer during the 1990s. Not only did Saudi Arabia increase its production to fill the gap left by the loss of Iraqi and Kuwaiti supplies after Iraq invaded Kuwait in 1990, but production declined in the other two large producers, Middle East production would have been higher throughout the 1990s if Iraq's production had not been constrained by the United Nations sanctions imposed after Iraq invaded Kuwait in 1990. Middle East production also would have been higher at various times if it had not been for the market balancing role played with varying degrees of success by the Organization of Petroleum Exporting Countries (OPEC). OPEC currently includes Algeria, Indonesia, Iran, Iraq, Kuwait, Libya, Nigeria, Qatar, Saudi Arabia, the United Arab Emirates and Venezuela. Ecuador and Gabon withdrew their membership at the end of 1992 and 1994, respectively. North America is the second largest producing area after the Middle East. The United States, the second largest producing country in the world, accounts for almost 60 percent of the North American region's total. Canada, the United States and Mexico all have long production histories, and production from mature fields has been declining. However, a new surge in technology has benefited both new field development and more complete production from existing fields. North Sea production, off the United Kingdom and Norway, began in the late 1970s. In contrast to predictions from the early 1980s of the imminent decline in the region's production, the North Sea has yet to see its peak. The region's success with new exploration and production technology, and hence its continuing volume growth, has been a central factor in world oil markets for a decade. Production in the Soviet Union peaked at about 12 million barrels a day in the early 1980s when it was the top world oil producer. The region's demand collapse, in combination with its aggressive production targets set to maintain foreign exchange, masked its rapid production decline in the late 1980s as the Soviet Union broke up. The former Soviet Union has recently been the second-ranked producer, after Saudi Arabia. One of the most visible new production prospects has been the Caspian Sea in Central Asia, in spite of the enormous logistical and political hurdles involved in getting the oil produced to world markets. Production in the United States has several unusual aspects. One is the private ownership of resource rights. In most major producing countries, the government owns the rights to develop resources. For privately owned property in the United States, the decision to explore for and produce oil is between the landowner and the producing company. The producing company compensates the landowner by the payment of a royalty on each barrel of oil produced. Early in the industry's development, there were few government restrictions. Now, there are overriding rules about well spacing and environmental standards. The only government agency to restrict production volume was the Texas Railroad Commission, which limited production in Texas depending on projected demand and production volumes in other areas of the United States. However, since the early 1970s, there have been no restrictions to production by any government agency. The private ownership of resource rights contributes to two other aspects unique to production in the United States -- the active participation of thousands of independent producers and the prevalence of the stripper well, one producing less than 10 barrels a day. As the industry was developing, many entrepreneurs with limited capital resources, but a high tolerance for risk, joined its ranks and, in fact, discovered some of the largest fields in the United States. Most of the time, their finds were less dramatic, but large enough for a small company to be a success. The company's success was, of course, the landowner's success as well. Many of the wells never flowed with very high volume and, as they aged, volume dropped. Nonetheless, stripper wells are likely to remain in production as long as the price of oil covers the production cost. They currently account for about seventy five percent (75%) of all wells in production in the United States and produce somewhat less than 900,000 barrels per day, fifteen percent (15%) of the total United States. crude oil production. Just as oil resources are not evenly distributed around the globe, neither are they evenly distributed throughout the United States. Given the way production data are reported, the biggest production region by far is the U.S. Gulf Coast and the largest producing state is Texas. The Gulf Coast region is home to two of the most important producing areas, the Permian Basin, located inland in West Central Texas and Eastern New Mexico, and the Federal Offshore portion of the Gulf of Mexico. Texas has been the largest producing state since the late 1920s, when it surpassed California. For a time in the late 1980s, Alaska rivaled Texas, as the more mature Texas fields declined and production from the giant Alaskan North Slope fields, begun in 1977, was still approaching its peak level of about two million barrels per day. Since that time, however, production from the Alaskan North Slope has fallen rapidly. Production from the Federal offshore, now about equal to output from the Alaskan North Slope, is limited by policy to California and the western and central Gulf of Mexico. New areas know as production or plays, led to a resurgence in activity in the Gulf of Mexico and is the only area with active new leasing. Leasing, drilling, production and the numbers of fields under development all set records in 1997, as the deepwater Gulf of Mexico became the place to be for almost any larger oil company, domestic or foreign. These new prospective oil producing areas are further offshore, in the much more challenging deepwater. The pace and timing of these deepwater plays, like all other upstream exploration, were impacted by 1998's low prices. Production from the Federal offshore, now about equal to output from the Alaskan North Slope, is limited by policy to California and the western and central Gulf of Mexico. 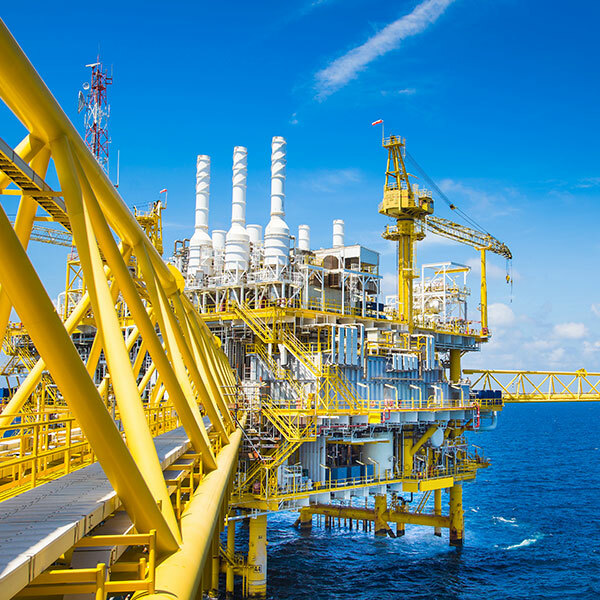 New production plays in the Gulf of Mexico, the only area with active new leasing, led to a resurgence in activity there. Leasing, drilling, production and numbers of fields under development all set records in 1997, as the deepwater Gulf of Mexico became the place to be for almost any larger oil companies, domestic or foreign. The important characteristic of these new plays is their water depth. When production in the Gulf of Mexico peaked in the mid-1980's, it came almost exclusively from the waters over the Continental Shelf. The new plays are further offshore, in the much more challenging deepwater. Production is already occurring in water depths of one mile. Recent discoveries suggest that this water depth record could be extended to a mile and a half in the next couple of years, by which time drilling could have moved out to waters two miles deep. Technology has been the key to opening up these new production plays. New deepwater production options such as tension leg platforms (TLP), spars, compliant towers, and subsea completions have allowed companies to do what was deemed impossible until quite recently -- operate in deep water, while three technological advances have been particularly important in making new discoveries economically viable: 3-D seismic, horizontal and directional drilling, and multi-lateral completions. The number of discoveries that it makes sense to develop in the deepwater Gulf of Mexico has been further increased by royalty relief that is worth at least $2.00-$3.00 a barrel on initial production and by an unexpected bonus: an unusually high level of production per well for the United States. Instead of a stripper well's 10 barrels, or even a Gulf of Mexico shallow water well's 1,000 barrels, daily production rates of 10,000 barrels have been common and as high as 30,000 barrels have been achieved. As a result, the number of new fields coming onstream annually in the deepwater jumped to 15-20 from a lifetime average of two. This surge was widely expected to double deepwater Gulf of Mexico production to 2 million barrels per day by the year 2000 or shortly thereafter, turning the Gulf in total into the preeminent oil producing region of the United States. Such growth would slow or even temporarily halt the long term decline in United States production, curb the rate of growth of United States crude oil imports, and have a significant impact on crude markets throughout the Gulf Coast and the Midwest. The pace and timing of these deepwater plays, like all other upstream exploration, was impacted by 1998's low prices. The industrialized countries are the largest consumers of oil but until 1998 had not been the most important growth markets for some years. The countries of the Organization for Economic Cooperation and Development (OECD), for instance, account for almost 2/3 of worldwide daily oil consumption. In contrast, however, oil demand in the OECD grew by some 11 percent over the 1991-19­97 period, while demand outside the OECD (excluding the Former Soviet Union) grew by 35 percent. The Former Soviet Union presents a special case. The collapse of the Russian economy that accompanied the collapse of Communism led to a decline in oil consumption of more than 50 percent over the 1991-98 period. The developed economies use oil much more intensively than the developing economies, and Canada and the United States stand almost alone in their consumption of oil per capita. For instance, oil consumption in the United States and Canada equals almost three gallons per day per capita. (The difference is these countries' transportation sectors, with their dependence on private vehicles to travel relatively long distances.) Oil consumption in the rest of the OECD equals 1.4 gallons per day per capita. Outside of the OECD, oil consumption equals 0.2 gallons per day per capita. Regionally, the largest consuming area remains North America (dominated by the United States), followed by Asia (with Japan the largest consumer), Europe (where consumption is more evenly spread among the nations), and then the other regions. Asia was the region with the fastest demand growth until the 1998 economic crisis in East Asia. The region's economic upheaval is a central reason for the oil price collapse of 1998. The United States and Canada use oil more for transportation than for heat and power, but the opposite pattern holds for most of the rest of the world: most regions use more oil for heat and power than for transportation. As a result, global demand for oil is highest in the Northern Hemisphere's cold months. There is a swing of 3-4 million barrels per day (some 5 percent) between the 4th quarter of the year, when demand is highest, to the 3rd quarter, when it is lowest. (The precise amount varies from year-to-year, depending on weather, economic activity and other factors.) While the 4th quarter is not the coldest in any region, estimated demand calculations are swollen by the traditional stock building that occurs during the period. 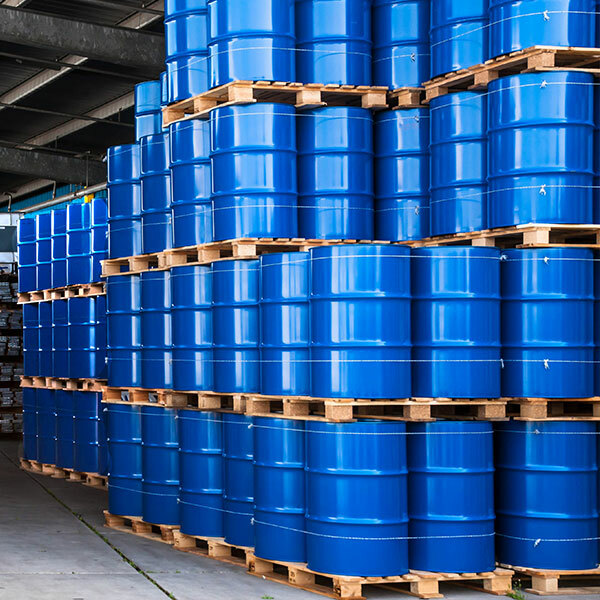 Demand for crude oil is derived from the demand for the finished and intermediate products that can be made from it. In the short-term, however, demand for crude oil may be mismatched with the underlying demand for petroleum products. This misalignment occurs routinely as a result of stock changes: the need to build stocks to meet seasonal demand, for instance, or the desire to reduce stocks of crude oil for economic reasons. In the longer term, blending non-petroleum additives into petroleum products (such as ethanol or other oxygenating agents into gasoline) can also reduce crude oil demand relative to demand for finished products. Millions of years ago, the remains of plants and animals decayed and built up in thick layers. This decayed matter from plants and animals is called organic material -- it was once alive. Over time, the mud and soil changed to rock, covered the organic material and trapped it beneath the rock. Pressure and heat changed some of this organic material into coal, some into oil (petroleum), and some into natural gas -- tiny bubbles of odorless gas. The main ingredient in natural gas is methane, a gas (or compound) composed of one carbon atom and four hydrogen atoms. In some places, gas escapes from small gaps in the rocks into the air; then, if there is enough activation energy from lightning or a fire, it burns. When people first saw the flames, they experimented with them and learned they could use them for heat and light. The search for natural gas begins with geologists locating the types of rock that are usually found near gas and oil deposits. Today's geologist tools include seismic surveys that are used to find the right places to drill wells. Seismic surveys use echoes from a vibration source at the earth's surface (usually a vibrating pad under a truck built for this purpose) to collect information about the rocks beneath. Sometimes it is necessary to use small amounts of dynamite to provide the vibration that is needed. Scientists and engineers explore a chosen area by studying rock samples from the earth and taking measurements. If the site seems promising, drilling begins. Some of these areas are on land but many are offshore, deep in the ocean. Once the gas is found, it flows up through the well to the surface of the ground and into large pipelines. Some of the gases that are produced along with methane, such as butane and propane (also known as "products", are separated and cleaned at a gas processing plant. The by-products, once removed, are used in a number of ways. For example, propane can be used for cooking on gas grills.